When you need affordable asbestos analysis, you need SERS premier asbestos consultants. SERS asbestos consultants operate all across Australia, offering the very best in asbestos inspections, surveys, sampling, and testing. With NATA accredited labs available in Perth, Brisbane and Sydney, SERS can provide expert analysis anywhere, anytime. Now offering asbestos analysis from $15 ex GST per sample, SERS maintain a commitment to high-quality customer service by offering 24-hour turn-around on all samples received*. Complete the form on this page or contact our offices direct on 1300 542 315 to get started with your asbestos analysis. Need to know if your house, worksite or commercial property is hazardous? Don’t wait around for length surveys and reports. Get your samples analysed by SERS expert asbestos consultants in under 24 hours! Need your sample analysed now? We can also process samples with a 2-hour turn around for just $30 ex GST, Monday to Friday. Please note this service is only available in Perth and Brisbane. Our NATA accredited laboratory offers a highly reliable and consistent method of testing samples for potential asbestos by discovering the fibre composition of materials and identifying any potentially hazardous materials. National Association of Testing Authorities (NATA) accreditation means that our asbestos testing is a highly reliable and consistent method of sampling asbestos and discovering the fibre composition of materials, and identifying potentially hazardous materials within the sample. Contact SERS today for Asbestos Analysis. *only applicable to samples received Monday through Thursday. Analysis for samples received on Friday will be returned the following Monday. 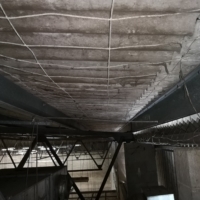 This entry was posted in Blog and tagged asbestos analysis, asbestos consultant, asbestos sampling, nata. Bookmark the permalink. 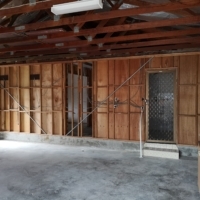 ← Should I Test for Asbestos Before Renovating My Home?